From time to time we all lose things that are near and dear to us. When this happens it is nice to have a place to turn and this page can help serve this purpose. 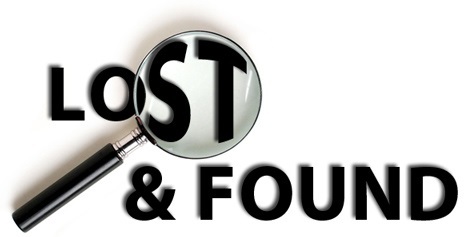 If you have either lost or found something please email the website administrator and ask for an announcement to be made so that the item and owner can once again be reunited! It's easy and pretty painless - just CLICK HERE to send an email. Please include the necessary information and preferred means of contact and we will take care of the rest! FOUND 5/28/2016 - One Dell laptop power supply. It was left at the Clubhouse sometime in the month of May, probably by a party who rented the clubhouse for an event. Does this sound familiar? If so, please email dane@the-vineyards.org so that you can arrange for its return.